The latest Stephen King adaptation is a detective yarn, and it works a treat, writes ANDREW JOHNSTONE. That moment when an actor walks onto the screen and you are a fan for life? The film was The General (1998) starring Brendon Gleeson. A big shambling Irishman with paws for hands and ears to hang stars from, he threw out a bravura performance as Irish gangster Martin Cahill. Ever since I have watched movies simply because he was in them and while the film might have been shite, he never was. 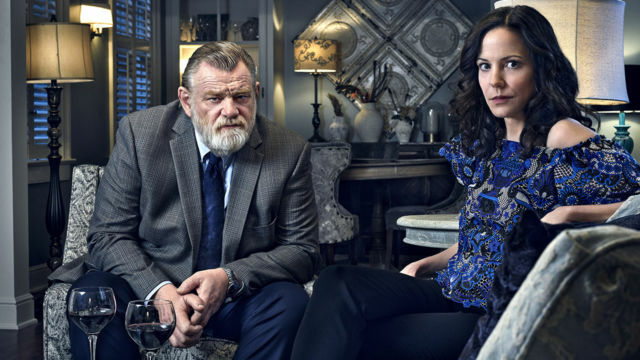 I didn’t stop to see who was in Mr Mercedes, just took note that it was a Stephen King adaptation, and I was in about the right mood for something of that sort. I pressed play and much to my delight, on walked Mr Gleeson. At 62 he is grizzled and more shambling than ever but that on-screen charisma is still shining bright. Bill Hodges is a dissatisfied man. A retired police detective possessed by a case he failed to crack. ‘Mr Mercedes’ as the killer came to be known, drove a car of that same name into a crowd, killing 16 people. The driver escapes and Hodges is ruined by it. Just when he thinks he might be finding a way past it, the killer gets in touch and upends his life again. 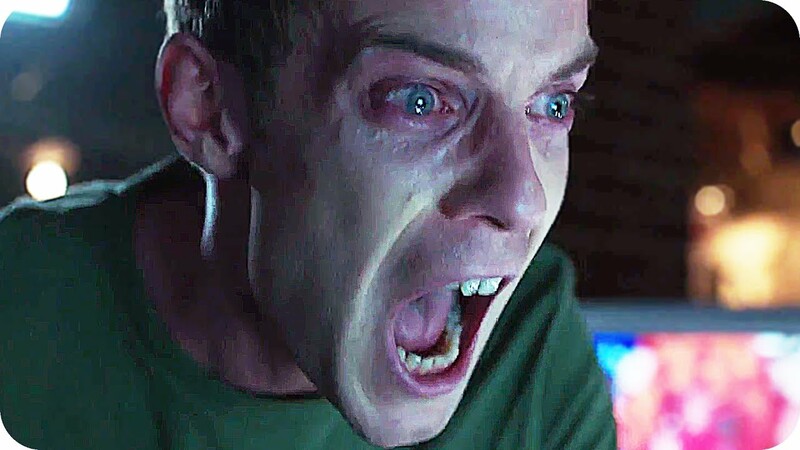 Harry Treadaway is another young Brit kicking up a storm in America. There are so many about these days that I have lost track but he does not let the side down. Brady Hartsfield aka Mr Mercedes is one cool customer, at least in public. Behind closed doors he receives his sexual succour from his mother while throwing hissy fits in his tech filled basement. If this were a Marvel production, Brady would be a seriously twisted evil genius in his secret lair plotting nefarious deeds. Which is exactly what he is. Mr Mercedes is Kings 62nd novel and his first gumshoe detective story, and it’s a pretty standard game of wits that’s strengthened by some interesting elements, including a device Brady has put together. A sort of universal remote “that’ll make us rich,” he informs mum, is a device so dangerous you would not want anyone to possess it, let alone a psychopath who has fallen all the way over into the dark side. But there it is, he has it and it is proving very useful indeed. Like the best King adaptations, Mr Mercedes is big on character and observational detail, which is what Kings books are mostly all about, with their long passages devoted to character description, much as the camera at work here. Episode Two is mostly composed of long fluid takes of Bill going about his domestic routine, neatly revealing a man beset of regrets. Among the excellent cast of characters is a brilliant Holland Taylor as Bill’s neighbour Ida, who is a firm reminder that sexuality is not the property of the young and nubile. Check out the scene in the pilot where Ida insists Bill looks at some naked pictures of her. The result is gentle and warm comedy of the endearing sort. Then there’s Brady’s Mum. There is no comedy here, just a abyss of madness. You can see where he gets it from. Anthony, Brady’s ambitious boss at Supreme Electronixs is deliriously idiosyncratic, and the monologues he offers to his star employees are all kinds of interesting. Lou, Brady’s anarchic outsider workmate is another strong character, one the creators have set up to demolish the vanity of the homophobes and Nazis among us. The introductory theme sequence is built around producer/song writer T-Bone Burnett’s 1992 track ‘It’s Not Too Late’. The longish and very traditional opening of each episode stands against the current trend of brief titles accompanied by short splashes of sound. Executive producer Stephen King is a well-known music fan, and the music on display is carefully chosen, idiosyncratic and lots of fun. Brady, rocking along to The Ramones ‘Pet Cemetery’ in the opening episode, was a little obvious, but hey… what the hell. 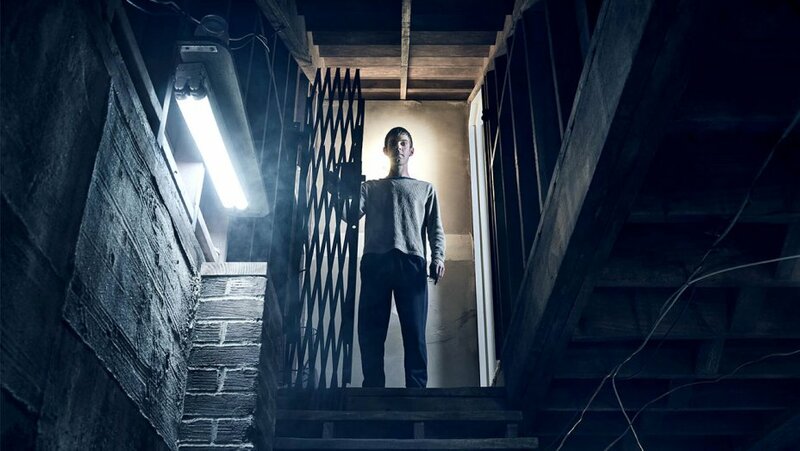 Perhaps the plot (psychopath vs. detective) is little pedestrian, but the strength of the characters lift the game nicely. Producer David E Kelley (Ally McBeal and Boston Legal) takes some of his cues from Mr Robot, notably in the opening titles and ‘otherworldly camera angles’, but Mr Robot this isn’t. Maybe the stylist touches are a pitch to that audience? It’s a reasonable fit. King adaptations can be a hit and miss affair and for every Shawshank Redemption, Lean On Me and Misery, there’s a lot of bad. The good news is that Mr Mercedes is not one of those. This is a class production – interesting, entertaining and mature. Fans of Wayward Pines, Utopia, Ozark, Better Call Saul: you’ll enjoy this. As for Mr Gleeson, they let him keep his rough Irish brogue and full credit to them. His is an honest performance and without affectation. The man is a master. Among my recent favourite Gleeson films is Alone In Berlin (2016). The film was flawed but Gleeson and Emma Thompson were flawless as Ann and Otto Quangel, a bereaved couple trying to undermine the Nazi state in 1940s Germany. Other notable performances include his turn as anti-AI agitator Lord Johnson-Johnson in Spielberg’s masterful sci-fi epic A.I: Artificial Intelligence and as Frank the taxi driver in zombie classic 28 Days Later. Little known Irish film The Tigers Tale spins an allegory about the Celtic Tiger economy and its subsequent implosion. Gleeson and his co-star Kim Cattrail act up a storm, making something more of the film than it is. He was in the very excellent Gangs Of New York and In Bruges and his 2009 turn as Winston Churchill in Out Of The Storm is unbreakable. One son is Domhall Gleeson (Ex-Machina), another is Brian Gleeson (Lucky Logan). A dynasty in the making.